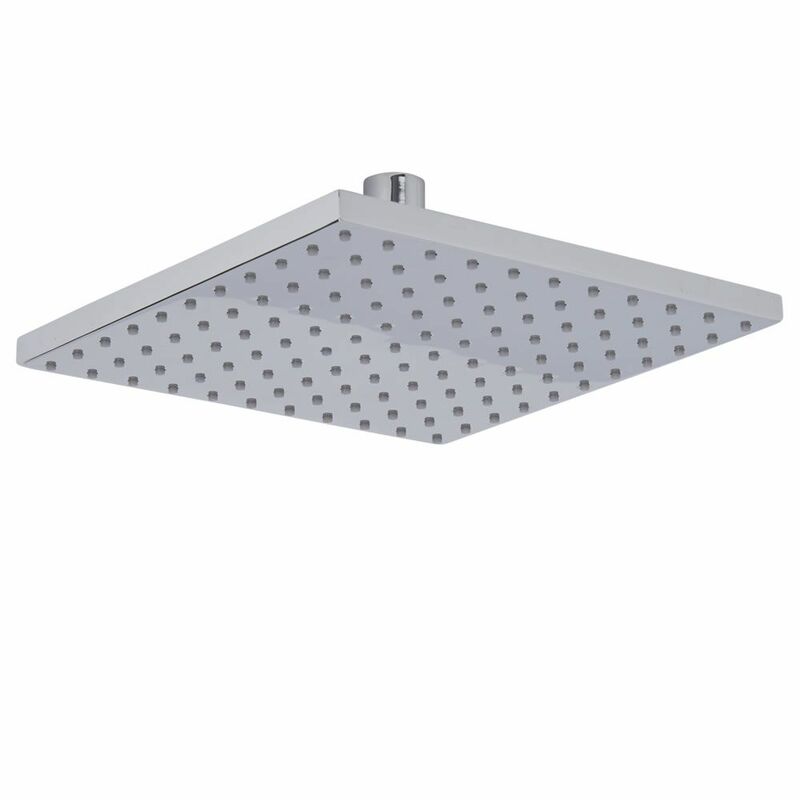 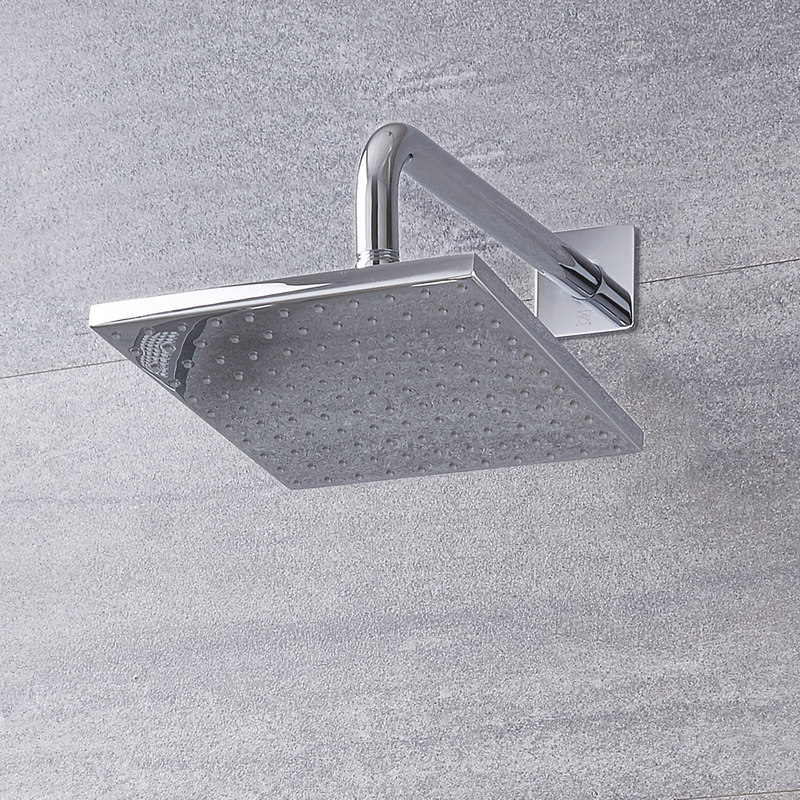 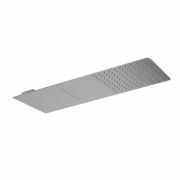 The Arcadia 8” square shower head with wall arm is a perfect option to deliver a sense of designer style to any bathroom or en-suite space. 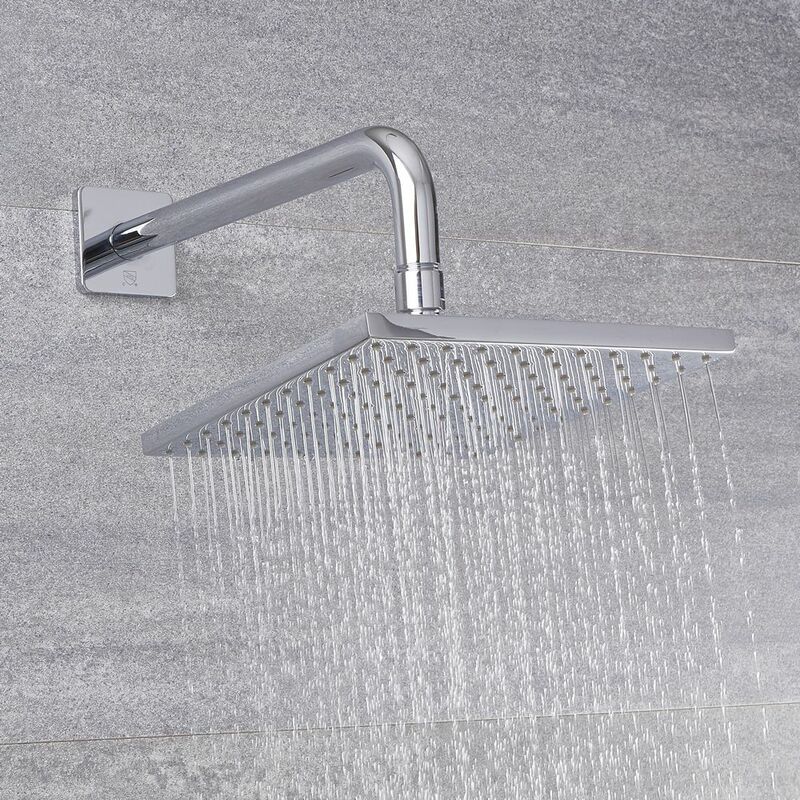 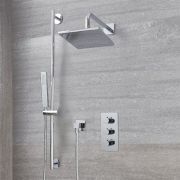 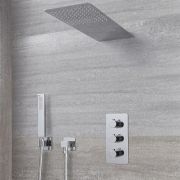 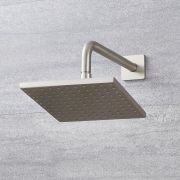 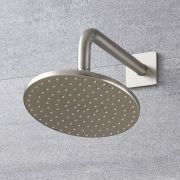 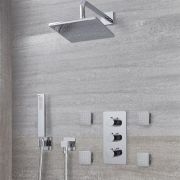 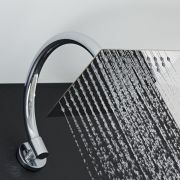 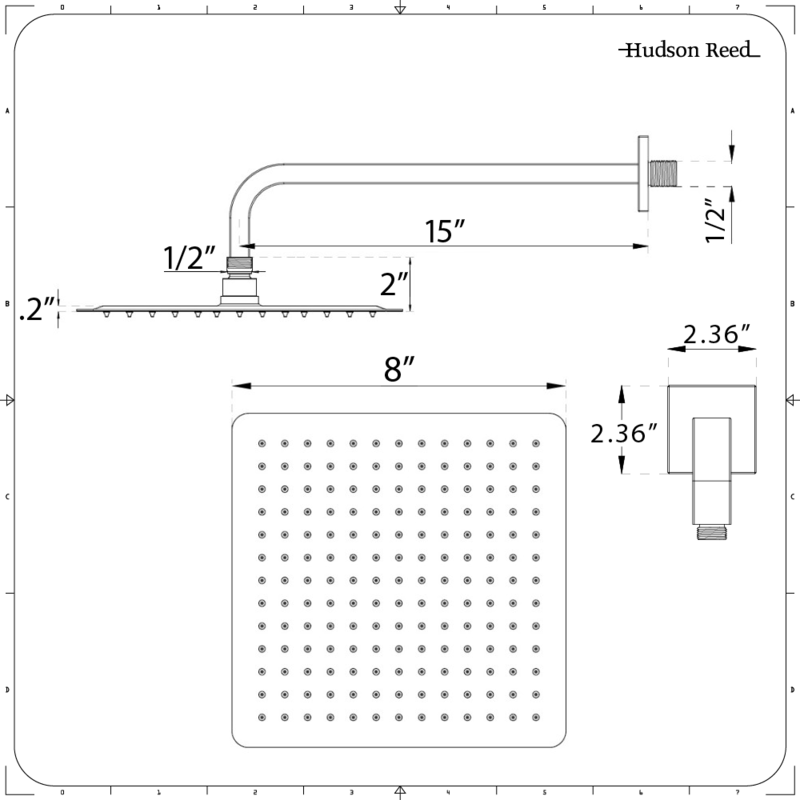 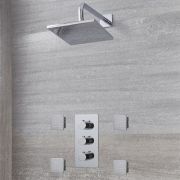 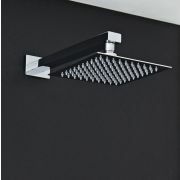 Featuring a contemporary design and a brilliant chrome finish, the shower head delivers a refreshing rainfall effect. 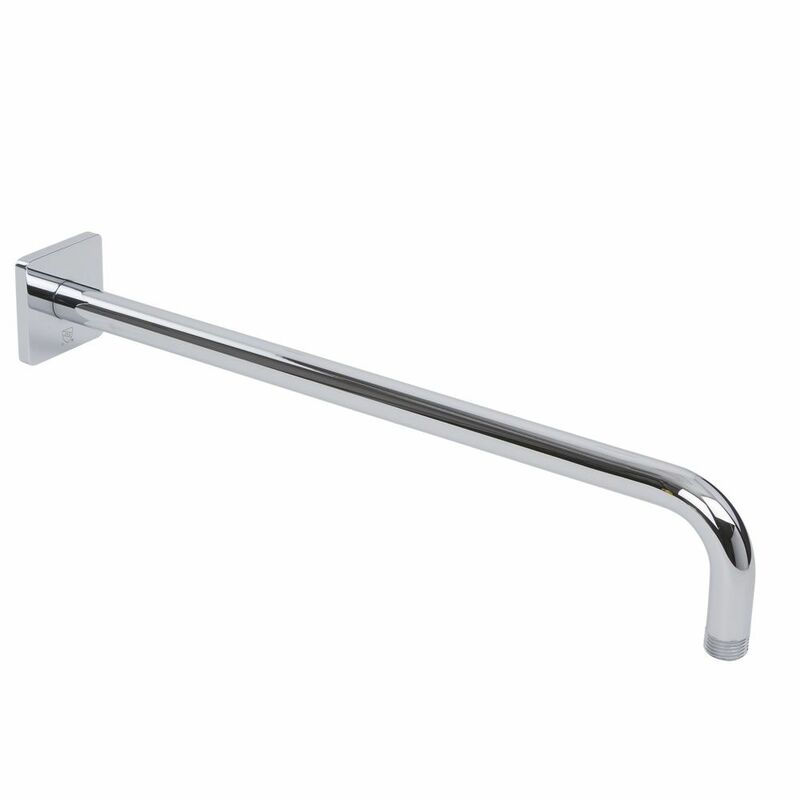 It measures 8” in diameter and, like the accompanying wall arm, is constructed from solid brass to ensure a quality, durable performance.